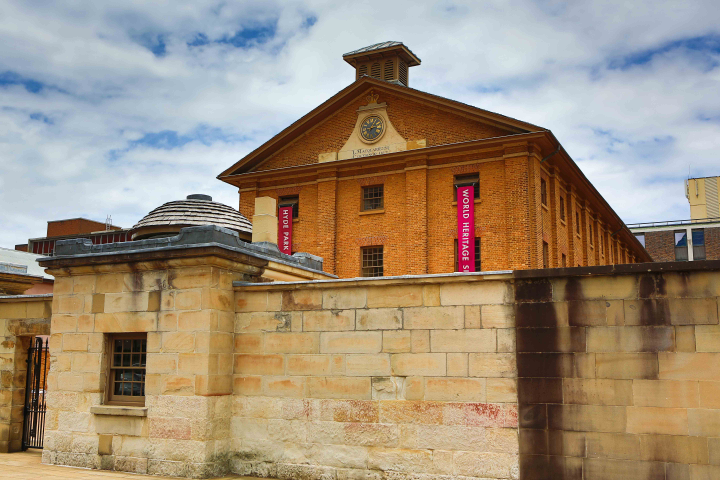 Constructed by convict labour by order of Governor Lachlan Macquarie, the Barracks is one of the most familiar works of the accomplished colonial England-born, Australian architect Francis Greenway. 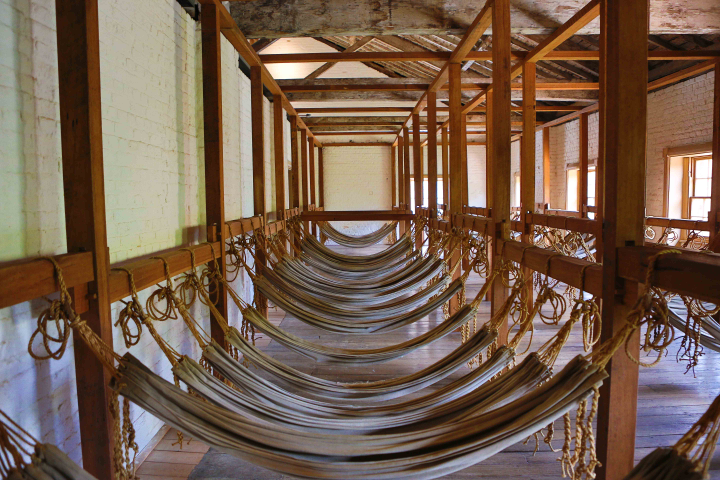 As the principal male convict barracks in New South Wales it provided lodgings for convicts working in government employment around Sydney until its closure in mid 1848. It has had many occupants since then. It was an Immigration Depot for single female immigrants seeking work as domestic servants and awaiting family reunion from 1848 to 1886 and also a female asylum from 1862 to 1886. From 1887 to 1979 law courts and government offices were based at the Barracks. It is a beautifully maintained building, full of fascinating bits. Not knowing a lot about Australia’s history, it was a good first stop. The barracks walk you through one of the original intake buildings, detailed descriptions of the evolution of the colony and how it evolved from a penal to a proper society. What is most interesting is the collection of memorabilia from the rats, it makes up a huge part of the exhibit; all of these pieces that they stole away and were later recovered in the foundation and floor boards. Amazing. While there I bought the book A Little History of Australia. I read it on the beach the week after and enjoyed the 10,000 word essay, although I found it a little too politically. 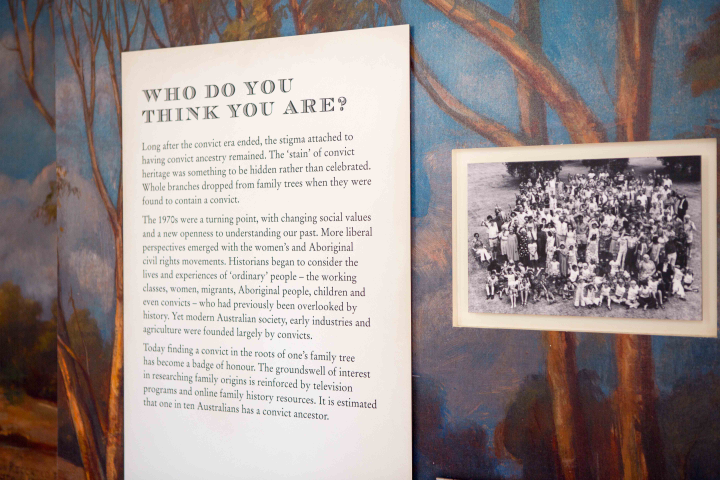 I would have liked to read more about specific incidents that shaped the Australian society. “South Australia women achieved women’s suffrage in 1894, followed by Western Australia in 1899” (remarkable). (World War I) “by the end of a war in which 330,000 Australians had served, one in six had been killed, half wounded, and even physically unharmed would hear the guns of war for years to come” (Canadian’s can relate to the WWI loss, with 620K serving and 66,000 losing their lives on European soil for England). I would highly recommend stopping here if you are in Sydney, worth the visit. This entry was posted in Our Asia Adventure and tagged Australia, Hyde Park Barracks, Sydney by michaelweening. Bookmark the permalink.